Private drum lessons are a great way to create a strong foundation for your entry into the world of drumming, or to further advance your playing abilities! Since 2003 I have been teaching lessons and helping all of my students reach their goals. Whatever your goal is…drumming for school band, playing drums for your church, starting your own band, drumming as a hobby, and college prep. I teach all of my students how to read basic drum notation and cater each lesson to what the student’s desired goal is. Which of these fit you? If you are trying out for school band or have already been in band I will coach and teach you the skills to be efficient in concert band, marching band, or jazz band. Students will study rudiments, sight-reading, hand technique, and various styles of music behind the drum set. I also help students prepare for All County Band Tryouts and All District Band Tryouts. Playing drums for church can be demanding and sometimes intimidating because most of the time it is our first taste of being able to drum for an organized group of musicians. I have 16 years of experience playing for churches ranging from large productions to your small hometown churches. We will learn how to pick out chord progressions in songs, drum set styles, chart writing, using a metronome, and the scheduling app “Planning Center”. Almost every young drummer dreams of starting their own band. To do this we need a solid foundation of timing, styles, and attitude. Students will learn how to read music, play different styles, how to understand chord progressions, song structures, and stage presence. Don’t wanna be in the spotlight? Enjoy playing drums by yourself in your garage or bedroom? No problem! The drumming world if your playground with no boundaries. Learn proper hand techniques, drum notation, styles, rudiments, grooves, fills, how to record your own YouTube drum cover, drum tuning, and more! looking to try out for a college drum line, or audition for entry into a college music program? I have you covered! I attended UNCP back in 2009 perusing a music business degree and have experienced what it takes to prepare for an audition. 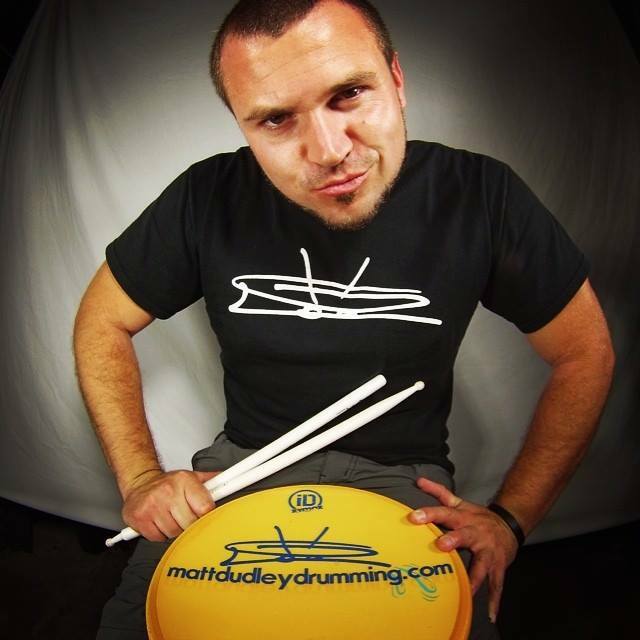 I can assist you with preparing a snare solo, marimba and timpani piece, rudiments, drum line exercises, and more! All you need to get started is a practice pad and a pair of drum sticks. We can schedule your first lesson via phone or email. You will need to contact me so we can pic a date during the week and a time that works best with your schedule. My studio is located directly in front of Columbus Regional Hospital in Whiteville NC.